While April is Child Abuse Prevention Month (CAP Month), child abuse happens everyday and so must prevention efforts. PCA Georgia provides sample communications pieces and community event ideas to be used during CAP Month and year round to help promote awareness, educate the general public, and also target specific audiences. Whether you use these tools in their entirety, in part or simply for inspiration, this material is a stepping stone for your CAP month activities. For extra tips and ideas, view PCA Georgia’s CAP month webinar. View calendar of activities happening around the state. Purchase Pinwheels for Prevention and promotional products for Child Abuse Awareness Month or year round. 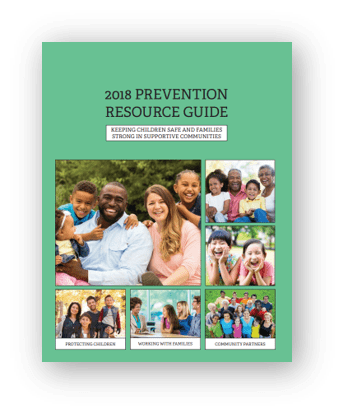 This Community Action Guide provides communications pieces and event ideas for Child Abuse Prevention (CAP) Month in your community. Pinwheels for Prevention® is a national public awareness campaign during Child Abuse Prevention Month (CAP Month) every April, designed by Prevent Child Abuse America to communicate efforts and change the way states think about prevention. Prevent Child Abuse Georgia (PCA GA) encourages community activities and the support of public policies that prioritize healthy child development and child abuse prevention right from the start! The classic blue and silver Pinwheels for Prevention® are available for purchase through PCA Georgia’s online store. Positive Messaging! Research shows that while horrific stories of child abuse and neglect may gain short-term media attention, this approach is not successful in building lasting public will for effective prevention efforts. 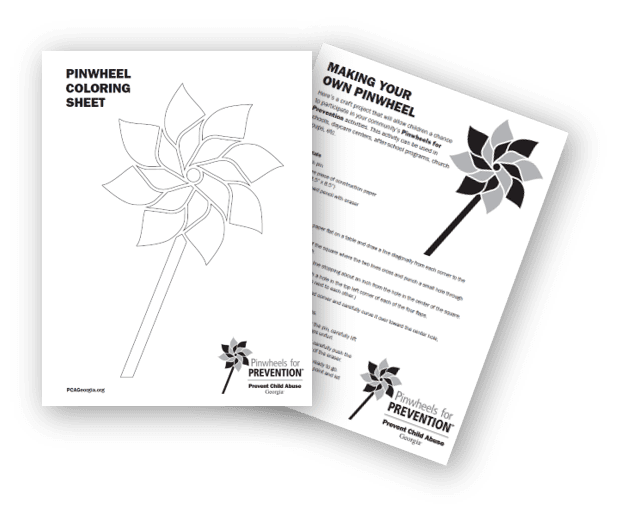 To promote lasting change, the pinwheel messages must focus on proposing effective solutions and engaging people in positive, preventative action they can take on their own. Everyone can make a difference in a child’s life and as a community member, it is your responsibility to not only help people realize this, but to also communicate specifically how they can help. “Pinwheel gardens” planted in communities across the nation are visual reminders that we all play a role in ensuring happy and healthy childhoods for all children everywhere. Their presence has resulted in increased awareness, expanded dialogue and community engagement around the healthy development of all children and the prevention of child abuse before it ever occurs. There are simple things people can do every day to make a difference, and in fact research from Prevent Child Abuse America suggests they’re probably already helping! Whether it’s mentoring children through a local pre- or after-school program, providing relief to an overburdened family by volunteering to babysit, or preparing a ready-make meal, there are many things you can do to promote great childhoods and strengthen families in your community! Connect Pinwheels and Pinwheel Gardens to community resources or needs, let others know how they can help families in their community! 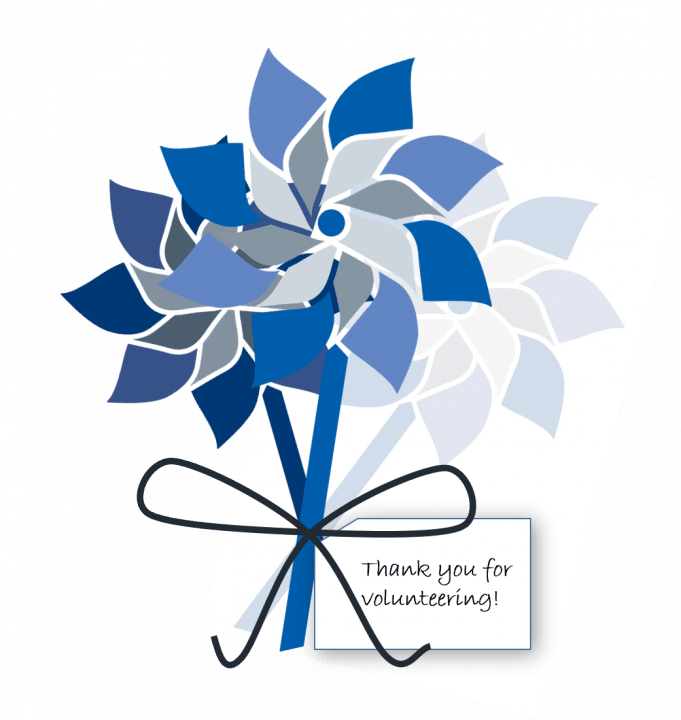 Connecting Pinwheels to local resources or the 1-800-CHILDREN community resource helpline are great ways to share and educate families on supportive programs near them. Plant a pinwheel garden at your child’s school or child care center, in front of a business, town hall or community center, the possibilities are endless. PCA Georgia supports over 20 local councils throughout the state of Georgia that are dedicated to preventing child abuse in all forms. Many provide direct services and act as prevention advocates in their community. Reach out to a council near you or engage community partners to plan a pinwheel garden. Use this guide for content and ideas to engage your community in this project. Do you have any fun pinwheel activities I can do with my children / students? Absolutely! You can download a pinwheel coloring sheet that is great for children of all ages. For older children, download instructions on how to make your own paper pinwheel! These are key takeaways messages that can be used during CAP Month and year round. 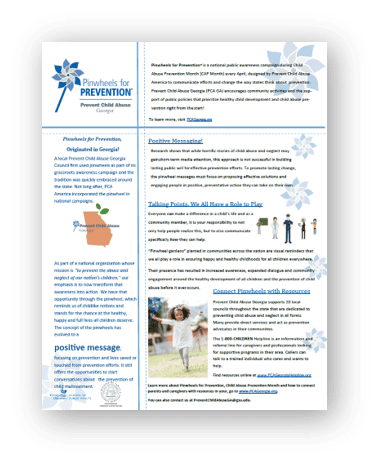 You can adapt these talking points to fit in with your Child Abuse Prevention Month activities and use in newsletters, media relations, and digital content. April is Child Abuse Prevention Month, a time to celebrate the good things our communities do to promote healthy child development and help prevent child abuse and neglect. Everyone wants to provide and nurture their child in a positive, healthy environment, but sometimes parents need a little support along the way. In a national survey, 94% of parents said they needed help of some kind; 86% said they would be grateful for services, childcare or other support. However, in a separate study, fewer than 20% of parents said they would actually seek help. Let parents know it is okay to ask for help! Encourage families to seek additional resources by calling the 1-800-CHILDREN (1-800-244-5373) Helpline to talk to trained professionals who can connect them with supportive programs in their area. Professionals can also be ready to help families find resources using PCA Georgia’s online map containing over 3,000 resources that assist Georgian families at www.PCAGeorgiaHelpline.org. Most people think child abuse and neglect is a serious problem and believe that the problem is preventable. 97% of adults have said they would take action on behalf of children, they just don’t know how. Most people are already involved in prevention by mentoring children or parents (70%), donating (80%), or advocating for children and families (77%). However, people don’t realize these actions help prevent child maltreatment! Only 27% of respondents engaged in those activities reported involvement with child abuse prevention. We want to help people understand that it’s possible to do the things they love—cooking, making art or music, reading, or playing sports—and, at the same time, help families and their community thrive. Because small steps can make a big difference in a child’s life–and a parent’s as well. Volunteer for an after-school mentoring program. Give a new mom a break by bringing over dinner or offering to babysit. Coach a youth sports team to teach kids the value of teamwork—they’ll learn how to trust teammates and themselves. Invite friends, neighbors, or colleagues over for a Civic Dinner to talk about ‘Nurturing Communities’. When you sign-up to host you will receive a guide to lead people into meaningful conversations. Encourage families you know to call the 1-800-CHILDREN (1-800-244-5373) Helpline to talk to trained professionals who will connect them with supportive programs in their area. Go online to use the 1-800-CHILDREN Resource Map, PCAGeorgiaHelpline.org, which contains over 3,000 local and statewide programs designed to assist and support families. Always include images. Images help grab your audience’s attention while scrolling through their social feed. Use the campaign images provided or create your own. You can find quality (and free!) stock images on websites like Unsplash.com. Prioritize video content. Videos have higher engagement rates and tend to outperform static image posts. Keep content short, colloquial and to-the-point. The more ad-like it sounds, the lower it will perform and be sure to tag your friends and organizational partners! Include a call-to-action to encourage your audience to engage. Whether you want people to click through to your website, share, or comment, make sure you tell your audience what you want. Your calls-to-action can be anything from an intriguing question, a “tease” to entice people to click or read more, or an explicit request. Don’t overload your page with donation requests, event invites, etc. Always try to add value to your page and provide interesting and informative content for your audience. Use Facebook Insights to help guide content development. The tool can help you learn more about the demographics of your audience, what times of day they are the most active, and which types of content are being interacted with the most. Interaction rates on Facebook and other platforms are highest during non-work hours (beginning after 2 PM ), so when you’re posting engaging content, try to do it in the late afternoon. Share your posts and activities with us by tagging @PreventGeorgia! Post your office going blue! Tips: Press releases are written in a journalistic style that heavily emphasizes the “Who, What, When, Where and Why” style of information-sharing. These are often written in an “inverted pyramid” style with the most important information at top and in decreasing order of importance from there so that if a media outlet prints your press release as a news story (which happens) but can only run a portion, you have conveyed the most important information. (CITY, STATE)—[Organization] along with Prevent Child Abuse Georgia encourages people across the state to participate in this year’s National Child Abuse Prevention Month by sharing their talents and time to help create better, brighter futures for children and families. Even the smallest steps can make a big difference in a child’s life–and a parent’s as well. We all share a responsibility for the physical, emotional, and mental well-being of children and their families. [Insert Organization] and PCA Georgia encourages everyone in the state to do what they love this April and help ensure great childhoods in their community. (CITY, STATE)—[Organization] will be at [LOCATION] on [DATE] to plant a Pinwheels for Prevention® garden and show support for children and families during National Child Abuse Prevention Month. Pinwheels connote happy, healthy childhoods and have become the national symbol of child abuse prevention. Advocates and volunteers across the state come together annually to plant pinwheel gardens in their communities, drawing attention to the need for effective programs and policies that ensure the physical, emotional, and mental well-being of children and their families. Each year over 15,000 pinwheels are planted in the state through Prevent Child Abuse Georgia’s Pinwheels for Prevention® Campaign. In addition to planting pinwheel gardens, people are encouraged to participate in positive, supportive activities throughout Child Abuse Prevention Month. CITY- <Insert Organization> is encouraging communities across the state to participate in activities to recognize the month of April as Child Abuse Prevention Month. April was first proclaimed as Child Abuse Prevention Month nationally in 1983. Ever since then, state chapters of Prevent Child Abuse America, as well as other child welfare advocates have also commemorated April as Child Abuse Prevention Month at both the state and local level. Governor Deal has continued this tradition to raise awareness for Georgia’s most vulnerable population by officially proclaiming April as Child Abuse Prevention Month. This year <Insert Organization> and Prevent Child Abuse (PCA) Georgia urges individuals and organizations across Georgia to join the discussion on ‘Nurturing Communities’ through three activities. Spark a different conversation around your dinner table this spring by inviting your friends, neighbors, or colleagues over for a Civic Dinner to talk about ‘Nurturing Communities’. 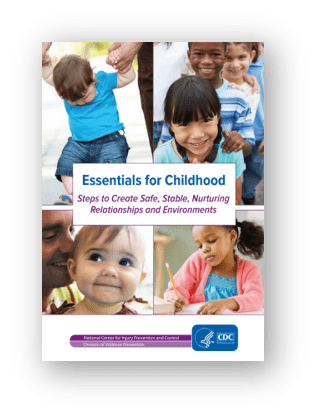 When you sign-up to host you will receive a guide asking three big questions to lead people into conversations around creating safe, stable and nurturing relationships and environments for all children. Raise awareness and show unity by wearing blue on Friday, April 5, Georgia’s “Wear Blue” Day. Join online by posting your office or organization wearing blue to social media and use the Twibbon Facebook filter that will be live across the nation throughout April, provided by Prevent Child Abuse America. 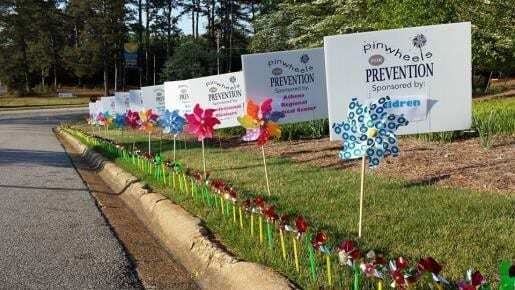 Finally, join the Pinwheels for Prevention campaign by planting the PCA Georgia blue pinwheel in front of your house or place of business. 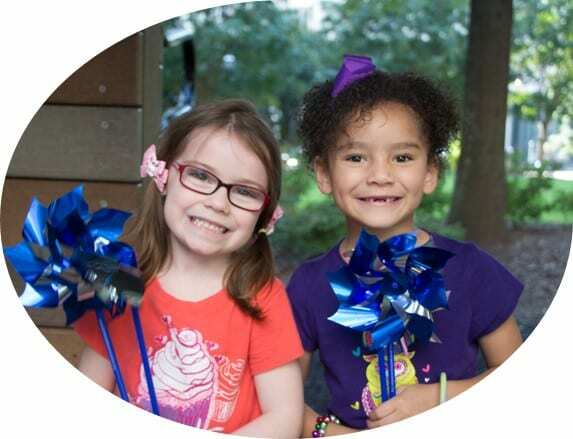 In April, over 15,000 pinwheels will be planted around the state that “serve as powerful visual reminders that we all play a role in ensuring happy and healthy childhoods for all children everywhere,” as stated by Julia Neighbors, Director of Prevent Child Abuse Georgia. <Insert brief organization description and any APRIL plans>To learn more about <insert organization> and Child Abuse Prevention Month activities around Georgia, visit <insert web address> and PCAGeorgia.org. (CITY, STATE)—Prevent Child Abuse Georgia and [Insert Organization] invite people across the state to wear blue on Friday, April 5, to show support for children and families during National Child Abuse Prevention Month. Wear Blue Day is an opportunity for people of all backgrounds to collectively and unequivocally draw attention to effective programs and policies that help children and families thrive. Additionally, by wearing blue, people throughout the state demonstrate an awareness of and commitment to our shared responsibility for the physical, emotional, and mental well-being of the children and families in our communities. In addition to participating in this year’s Wear Blue Day, people are encouraged to engage in positive, supportive activities throughout Child Abuse Prevention Month. Therefore: I, [Mayor/Official], of the [City/Town], do hereby proclaim April 2019, as CHILD ABUSE PREVENTION MONTH in Georgia and urge families and communities to become involved in protecting Georgia’s children. The Executive Department to be affixed this ______ in the year two thousand nineteen. Letters to the editor (LTEs) get the most attention when they respond directly to a recent event or article in the news. When writing to your local news outlet, be sure to reference a specific story or community issue that’s related to child health and well-being. Also, verify the maximum word count for the outlet to which you’re writing; if your LTE is too long it will either be discarded or edited by someone else, sometimes deleting important elements. Up to 250 words is typical for local and regional papers, but many larger newspapers are limited to 150 or so, and some magazines limit letters to less than 100 words. Your recent coverage of [APPLICABLE STORY IN YOUR LOCAL NEWSPAPER] reinforces that we all share a responsibility for the physical, emotional, and mental well-being of children and their families in [Georgia or CITY]. And since April is National Child Abuse Prevention Month, it’s the perfect time to help people understand that it’s possible to do the things they love and help families and their community thrive. Small steps can make a big difference in a child’s life–and a parent’s. Go online to use the 1-800-CHILDREN Resource Map, PCAGeorgiaHelpline.org, which contains over 3,000 local and statewide programs designed to assist and support families. See what services are available in the areas you live. Collectively, these small steps will help create better, brighter futures for children and families in [STATE or CITY]. Your recent coverage of [APPLICABLE STORY IN YOUR LOCAL NEWSPAPER] reinforces that we all share a responsibility for the well-being of children and their families in [STATE or CITY]. And since April is National Child Abuse Prevention Month, it’s the perfect time to help people understand that it’s possible to do the things they love and help families and their community thrive. All parents want to provide and nurture their child in a positive, healthy environment, but sometimes they need a little extra support along the way. That’s why I encourage everyone to proactively engage parents in their community and offer your support—whether it’s by making a meal for the family or reading to a child. An easy way for professionals and caregivers to find supportive resources in their community is by calling 1-800-CHILDREN (244-5373), PCAGeorgiaHelpline.org. We are encouraging organizations, groups, and individuals across Georgia to host Civic Dinners. As a dinner host, you will invite over a diverse group of 6 to 10 friends, colleagues or others and will be given a host guide with 3 questions to ask at the table to help spark discussions around ‘Nurturing Communities’. The purpose of Civic Dinners is to get the conversation going on how guests and community members can play a role in creating safe, stable and nurturing relationships and environments for all children. There are lots of ways to involve businesses, individuals, schools, and local organizations during CAP month. Plant pinwheel gardens to represent adults that have gone through trainings such as Stewards of Children or Mandated Reporter Training. Request a Training. Print our your sign and let us know what you do to support children and families! 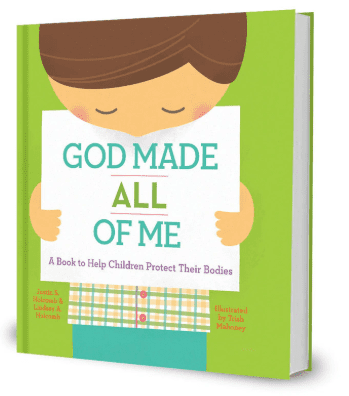 God Made All of Me by Justin and Lindsey Holcomb is an invaluable resource and beautifully illustrated story to help families talk about sensitive issues with two- to eight-year-old children. Because the private parts of our bodies are private, home is the ideal environment for a child to learn about his or her body and how it should be treated by others—without conveying a message of shame. Through carefully written language and relatable storytelling, God Made All of Me helps parents navigate discussion that can so easily be warped into confusion, embarrassment, and secrecy. PCA Georgia recommends adding a 1-800-CHILDREN (1-800-244-5373) Helpline sticker to this book if you are planning to distribute them. This book may raise questions for parents or caregivers and 1-800-CHILDREN is design to help parents with tough questions and locate local resources that support families. Download stickers to print on Avery Template 5293 or request stickers be mailed directly to you. WE CAN- Work to End Child Abuse and Neglect -The Children’s Bureau and CANTASD offers a collection (over 100) of social media posts and images. Please Note: that Pinwheels for Prevention® and the blue pinwheel mark are both trademarked by Prevent Child Abuse America. All campaign material must be attributed to PCA Georgia. 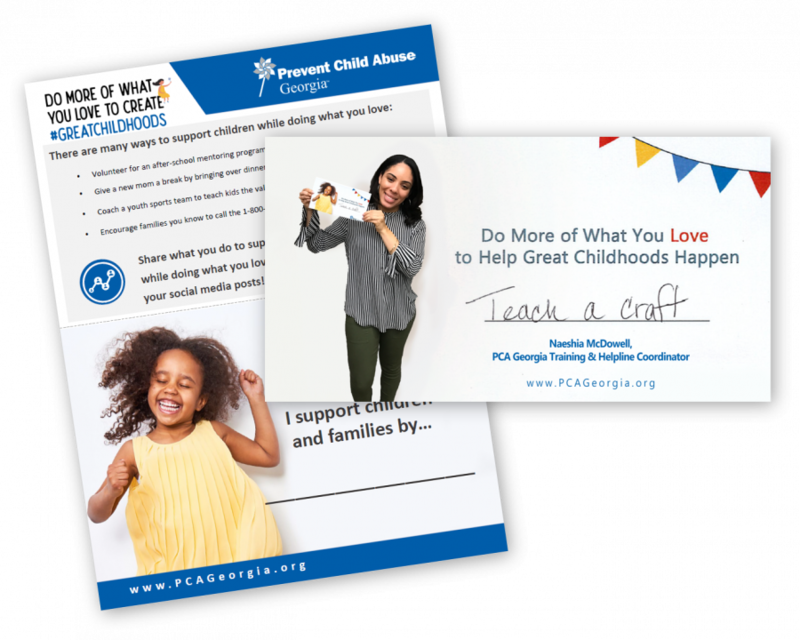 If you have any questions, need assistance customizing any of the campaign components, or need help with trademarked materials or any other partner-related questions, please contact us at PreventChildAbuseGA@gsu.edu. We also ask that pinwheels are not used with negative or graphic content (a common example is the number of child deaths in a given year) because prevention is about promoting programs and resources that strengthen families.